I had the utmost joy staying at this property as a wedding planner for an on-site client event inJanuary. I doubt I'll do it justice with this review, but I'll try my best. First, let's talk service. Our stay started with a fantastic welcome including a mini massage and freshjuice. A friendly bellman whisked us up to our room, where we found beautifully clean and comfortableaccommodations, including a patio with lush bougainvillea spilling over the balcony. The bed wascomfortable, and each night at turn down the staff placed robes and slippers at the bed. Everyonewho is working here seems happy to be employed by Grand Velas, and eager to be of service. Neverat any time did I pass a staff member without being acknowledged and welcomed with an offer ofservice. An in-room coffee station was stocked with a Nespresso machine and pods, and complimentarybottles of Carminere and Mezcal were placed on the counters. The snack bar was full of tasty snackslike M&Ms and chips, and the refrigerator was full of chilled bottled waters and beers. Anything weconsumed was promptly refilled each day. Continuing with food, the dining scene is top notch. The restaurants at Grand Velas are so fantastic, Iforgot I was staying at an all-inclusive resort. The Italian restaurant, Lucca, was a particular joy. Thefood was extremely fresh and delicately prepared, and the all-inclusive wine list was full of excellentoptions from around the world. Servers checked up frequently without being intrusive to the diningexperience. But let's remember, I was here for work, not for a vacation! My clients wed at the Grand Velas inJanuary 2019. I have had many different experiences with weddings outside the US, and I typicallyfear the worst when it comes to coordination. I've had a wedding in Mexico where the venuecoordinator changed 5 times in less than a year. You read that right: 5 times. It made my role as anindependent planner more valuable, but it also made the entire process a headache for the poorclients. To my utter surprise, there was NONE of this nonsense at Grand Velas. This resort's eventsdepartment is being run as seamlessly as you'd expect from any 5-star resort. Throughout the planning process, we had a consistent and very talented gem of a weddingcoordinator named Andrea. Andrea is extremely helpful, detail-oriented and communicative. She isthe rare type of hospitality individual who cares personally about everything she touches, and sheworked very hard to get every detail just right. Andrea's team was supportive and friendly; there wasnever anything we asked for that they didn't do their very best to accommodate. They handled acomplex 4 days of celebrations with grace and professionalism, and it was a joy to see everythingcome together so beautifully. 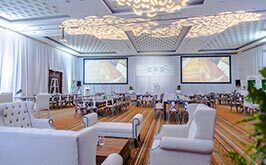 It was a pleasure to work with the Grand Velas team to execute my clients' wedding and to enjoysome vacation perks while there. 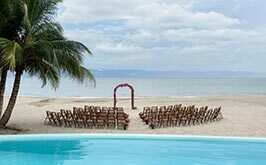 I have stayed at several other properties in Puerto Vallarta, but theGrand Velas would be my top recommendation for a beautiful luxury wedding in the area. 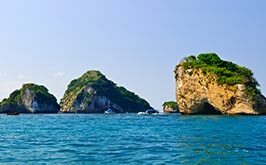 We´ve been to Cabo a few times to prepare for our wedding. When deciding where to have our wedding we knew it would be here. Its our first and only choice. It's like going home to paradise. Everyone remembers and knows our names. They treat us with genuine sincerity. Any request we had for our cultural traditional wedding were met. If anything was wrong they made sure to make it right. It's important to go to a resort with your friends or family that has high value in customer satisfaction. When they put the customer first it makes the experience worthwhile. You trust the business to handle your things and your family with respect and highest standards. I could not recommend this resort more. If we get to choose again, we would still get married at Grand Velas. 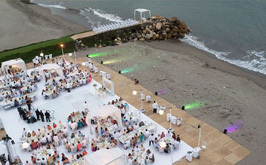 We recently were married at Grand Velas Riviera Nayarit with approximately 75 guests and had the most incredible time. It truly was spectacular. The resort is so stunning and the level of service offered throughout the resort is fantastic, especially at the fine dining restaurants, which are blow your mind delicious. 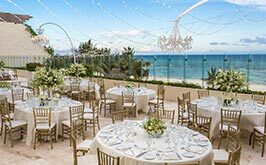 Planning a wedding in a Mexico when living in the US is certainly not an easy task, but Andrea Garza (the GV wedding coordinator) really helped bring everything together! I am incredibly detailed and I had super specific ideas on the majority of items (some would say all) that I wanted for the wedding. With the help of Andrea, I was able to have access to vendors that could bring my vision to life. She was really easy to bounce opinions off of and really helped put my mind at ease that everything would go off well. She has a very calming disposition, which always helps! As for the planning, I was always in constant communication with Andrea and she was a complete delight to work with. I have made a friend for life throughout this process because she is such a kind and caring person. Some things didn't go perfectly but what wedding does! We received overwhelming feedback from guests on what an incredible resort choice this was and how much fun the wedding was. My primary concern was my guests and ensuring that they would be well taken care of. Trust me - your guests will have the most incredible time! As will you, of course. We have the most amazing memories from our wedding day and cannot wait to go back to visit. GV truly has a special place in our hearts and I can see us return very often. Thank you to the fantastic people working at GV who made our wedding so incredible! A special thank you to Andrea! 4th Visit, Still Love It! Getting MARRIED at Casa Velas! I've stayed at this resort in 2015, 2016, 2017, and 2018 and it's never a disappointment. Last year my fiancé surprised me with a romantic dinner on the beach and popped the question right at sunset. It was a beautiful evening and the staff did an outstanding job with the service, food and details to make it extra special for the occasion. I was so impressed with the outstanding service from Casa Velas that my fiancé and I decided to have our wedding at Casa Velas. EXCELLENT Service!! Now, I can go on and on and express how Casa Velas is the Best Adult Resort in Puerto Vallarta … However, my best recommendation is that you come visit Casa Velas and see for yourself! And with that being said let me thank the Staff at Casa Velas which is one of the main reasons we always come back. Emiliano's & Beach Club - A special thanks to Manuel, Bernardino, Victor, Aaron, Daniel for the attention to detail and making sure all our request were met. And of course thank you Chef Alejandro for making every meal unforgettable! Lobby and Pool bar- Benny… You're simply the BEST!!! Wedding Planner- Andrea you're absolutely an amazing wedding planner! You're professional, poised and gracious at all times. Thank you so much for being so patient with me, and putting up with all of my phone calls, e-mails, questions and last-minute changes. Casa Velas is like my second family. See you for the wedding in November 2018! This resort is so luxurious with amazing customer service! I toured this location today, looking for a one-of-a-kind wedding venue & Grand Velas surpassed my expectations! Everything is high-end, elegant, tranquil & the views are awesome! Marcela gave me a tour that included a delicious lunch (try the Watermelon salad!) and she was so helpful, sweet & informative...I saw every possible wedding space & every site was gorgeous! This is a special place! My fiance and I have visited Grand Velas Los Cabos for the first time back in July for a quick weekend getaway, with no intentions of wedding planning yet. However, we enjoyed our stay so much that we started the wedding planning process on site - we knew this resort was "the one." Three weeks later, I came back with my sister and niece to show off Grand Velas to them for our girls trip. And the first week of December, we came back AGAIN for my 3rd trip with our parents...they were just as "wowed" with the property, service, and the people as we were on our first trip. The resort is even more beautiful in person, everything from the view, architecture, landscaping, and especially the staff. Every room is ocean view, and it is absolutely breath taking! The resort is situated to have an amazing sunrise view over the ocean, but sunset will occur behind the building. However, waking up early to catch the sunrise is worth the extra minutes that you lose sleep for! The service is definitely first class. You are always greeted by your name (sometimes even by staff members you have not had interaction previously with) and with any requests, they just seem to make it happen without hesitation. For instance, my mother in law forgot her comb, but the hotel didn't have any at the moment. The concierge in the lobby offered to have a staff member stop by a store to purchase one on the way to work and delivered to her room (definitely going above and beyond). Concierge/service - every suite is assigned to two personal concierges (one morning and one evening), who are trained in the highest level of customer service, yet they are very genuine and sincere in every interaction. I had Rocio, Christian, and Sheila and we love them so much we are requesting them for the wedding. They are always proactive and thinking ahead, taking care of things you probably don't even realize. For instance, Rocio made sure our niece was taken care of during her time at the Kid's Club (our niece didn't want to leave!) and had dinner delivered to the club while we were at an adults only restaurant - doing all this before we even had to ask. There were MANY other things she did for us that was above and beyond, but one that left a huge impression on us is she left us a note in our room during our December trip prior to our arrival, welcoming us back, regretting that she can't in person due to not being scheduling. Christian is equally amazing. He realized we had a short stay and offered to pack our luggage so we can spend more time enjoying ourselves, calling our transfer company the night before to make sure everything is in order, calling us during his personal time off right before our checkout to see if there was anything else he can do for us. He and Rocio always seem to know where we are at - they are very good at balancing showing up often enough so you feel cared for, but not so much that it invades your privacy. Sheila was also proactive and had boxed lunches made for us on the day of our departure so we have something to eat while waiting at the airport. Another feature that I find convenient is the concierge offer their personal numbers so you can text them any time for anything; this also allowed for better response time (especially when lounging around the pool and you suddenly need or remember something). Food - I usually avoid all-inclusive resorts because the quality is mediocre at best. However, I enjoyed every restaurant at this resort and each chef not only consider the taste during the dining experience, but also the presentation which is definitely Instagram-worthy! Few of the restaurants, the chef will even come out personally to ensure you are enjoying your meal. Breakfast is buffet and you must have it on the patio - the view is gorgeous! The staff will even help you with your plate and bring it back to your tablet. The executive chef, Juan, is creating the menu for our wedding and he's incredible! For our taste testing, he comes out to explain every dish for every course. He is highly trained in his field and has many years of experience, yet he is so incredibly humble and welcomes all suggestions or modifications. He was able to translate every request or suggestions I had, and our second taste testing was EXACTLY what I had mind. He puts a lot of thought in not only how the dish tastes, but also the texture and he's a true artist when it comes to the presentation. Wedding planning - Marcela is our main contact for the entire wedding process. She is professional, yet very sweet and personable. She arranged all my meetings with vendors and made sure everything run smoothly, even though our December trip was kind of last minute. There were a few issues that happened during our last trip, but when made aware of them, she immediately took corrective action and we couldn't be more thankful! Not only did she apologize, but made sure we understood that the resort is always open to suggestions for improvement (and just not brush it off). I have really enjoyed working with her for the past several months and absolutely trust her, knowing that she has my best interest in mind. I am also impressed with Andrea, who is going to be assigned as my wedding coordinator. While we haven't had much interaction yet, she was at both of my taste testings and was responsible for accurately transcribing and translating my requests to the chef. Marcela, as well as many of the staff who I see regularly while at the resort, made every effort to be present in welcoming me and sending me off. There are MANY others who made all our trips to Grand Velas an incredible experience, and each time unique - everyone from the bar (who gave us an impromptu mezcal tasting when she realized my fiance really likes the liquor; and she also created several cocktails for our testing as well), pool service (staff who would clean your sunglasses when you get out from the pool, move the umbrella so the sun is out of your face and leaves water next to you when you fall asleep), restaurant staff (who would stay wayyyy past the closing time without rushing us or make us feel bad and even insisted on us having dessert), and other random (but definitely not less important) staff who will catch the elevator for you even though they're going the opposite way from you. There are not enough words in the English language to describe how amazing this resort is, you'll just have to experience it for yourself. What you get far exceeds what you pay for, and that is saying a lot for this luxury property! Excemplary attention to detail in a spectacular setting! 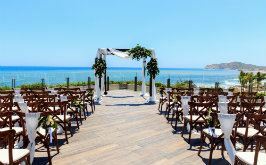 Let me start by saying how pleased we are that we chose to host our daughters rehearsal dinner and wedding last week at the Los Cabo's GV celebrating its one year anniversary this month. 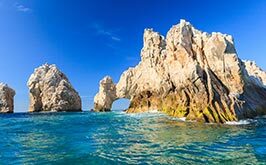 We choose the GV over several other highly acclaimed Los Cabo's properties not only because of the stunning location but more importantly due to the gracious hospitality we experienced from our very first visit to the subsequent three additional visits prior to the wedding. The group staff Eduardo, Andrea and their team; as well as the amazing and ever present concierge staff Diane and Christian truly made us and all of our guests feel welcome, comfortable and like we were part of their family! Every associate we interacted with made us feel special , recognized and cared for. We can honestly say we had not one worry. The staffs attention to detail was what enabled all of us to remain relaxed and able to truly enjoy every moment of the absolutely PERFECT WEDDING! You expect a property like this to offer amenities that exceed your expectations , rooms with spectatcular views, exceptional dinning options and the GV does not disappoint. Many brands strive to "Make a customer for Life" . The brothers that created the Grand Velas are doing just that. We all left the Grand Velas with heavy hearts as we will miss the beautiful people that make this property such a magical place. Thank you to everyone who made our families experience unforgettable. We will be back soon! This was our first time in Grand Velas Riviera Maya. And we decided to do our weeding here. We didn't know much about the resort expect for what we saw online. When we arrived we realized every review was right. It's an amazing place. Food is as good as it gets in any excelente restaurant. Service is amazing. And the facilities are also really good. I totally recommended for families and couples. Grand Velas is hands down the best luxury all-inclusive resort we have ever been to! We recently had our wedding there and everything was absolutely perfect. We had approximately 60 guests stay for at least three days and received countless compliments and "thank you's" for choosing this resort. Everyone loved it! The grounds themselves are beautiful and well kept, facilities were great, food was top notch but their service is what sets them apart from any other place we have ever been to. Everyone from our personal concierge (Adrian and Yazmin) to the front desk, were always friendly, warm, and proactively helpful. This place is really perfect! Aside from the resort itself and all the beauty it had to offer, what we really fell in love with was our wedding coordinator, Andrea Garza Martinez. She was amazing and words will not be able to fully describe everything she did and how much it meant to us but I will try! From the very start of the wedding planning stage, Andrea was honest, creative, organized, super detail oriented, meticulous, and always available (she responded to every single one of my 1,379 emails, sometimes over the weekend and past midnight!). The word "no" did not exist in any request we made, no matter how crazy it may have been. She was always willing to try and figure out a solution and give us her advice and thoughts. Our wedding came out perfect and we give her and all of her hard work all the credit in the world. Andrea is someone that truly cares about making her brides and grooms happy and she made our wedding a dream come true! I recently had my wedding here. Everything was perfect; the beauty of the resort, the food and drinks, and the service was impeccable. My family and friends all had a fantastic time at the resort and agreed that we must come back next year! Above all, the best thing about Grand Velas Riviera Nayarit was my Wedding Coodinator, Andrea Garza. I had the pleasure of working with her for the past year and I can confidently say that she made my wedding a dream come true. If you're considering Grand Velas for your wedding, definitely ask for Andrea - you won't regret it! My husband and I had the joy of getting married here at the end of May and we cannot say enough good things about it. As soon as the Wedding Coordinator (Andrea Martinez) contacted me I knew we had made the right decision by selecting Grand Velas Riveria Nayarit for one of the most important days in our lives. Andrea made sure that she was in constant communication and knew exactly what I wanted. There were a lot of decisions that I did not care about so I put full trust in Andrea to make them, and I'm glad that I did. As soon as we arrived on the property she met up with my husband and me and made sure that we (I) wasn't carrying any unnecessary stress. At the end of all of the wedding and planning, I didn't think of Andrea as our Wedding Coordinator any longer, but as a a friend! I could go on and on about how great Andrea was! We had 51 people attend our wedding and every single person had a great time. We would hang out by the pool (bar) all day. The bartenders and waiters/waitresses were great. They checked on us constantly and provided great service. The bartenders at the pool bar were always making different drinks for us to try. We really enjoyed all of the food that we had from breakfast, to lunch, to dinner. We would eat the buffet for breakfast, we would eat by the pool for lunch, and we tried all of the restaurants for dinner. I will say that the French restaurant was probably our favorite. After all of our guests left and it was just my husband and me we decided that we had earned a couples massage. The entire spa experience was something that you must do, and the massage was great! The views on the property were amazing and made for great wedding pictures. We were married in front of three large pillars which are beautiful in our pictures. We were also able to capture the sunset during our reception. The property and staff do an excellent job making sure that the grounds are very clean and well kept. We had the best week and a half, ever, and we cannot wait until we get to go back to Puerto Vallarta and stay at Grand Velas! We were married at Grand Velas Riviera Nayarit in June 2017. The resort's wedding coordinator, Andrea Martinez, handled everything from start to finish! She was very responsive (as was the rest of the resort staff) to all of our questions and concerns the entire time and the wedding turned out great! We didn't have to worry abut anything and they accommodated all of our requests. The upgraded suite was amazing. The service at the resort is the best we have experienced, which is a sentiment that was echoed by all of our guests. The staff really goes out of their way to offer the best service. Oh, and the 24/7 room service does not hurt at all. The resort itself is beautiful and relaxing. The pool bar was our favorite part. We just returned from Grand Velas where we attended my sister's wedding. The resort itself is awesome, great rooms which are clean and spacious, the pool and dining options are fantastic. I really enjoyed the Italian and French restaurants quality of food, presentation and service. The wedding planner ANDREA was extraordinary, she was extremely professional, organized, patient and accommodating, she went out of her way to make sure my sister achieved the wedding of her dreams. I have to say though that we were extremely shocked to discover that almost all the services that had to be outsourced like photography, flowers etc came with a very hefty commission/surcharge added in by the resort in some cases two to three times the price for the same service when one sourced it privately by just looking online locally or taking a trip downtown to source flowers, this was very time consuming and unnecessary considering that we already paid a huge amount for the wedding package and brought in revenue with over 70 guests who stayed at the resort, they need to be transparent and fair about the surcharge added to external vendors and anything that is not within the wedding package. The venue is outstanding for a wedding but be prepared to pay through the roof if for example you just want to extend the reception by one hour ($400) and only one microphone for the ceremony as an additional one incurs a cost so we ended up with the one microphone being passed from minister to bridal couple - a bit messy - it really was exhausting all the extra charges which was beyond the wedding planning team's control but rather a policy from the resort. I have rated it less than five stars because although the service is good, there is a lack of genuine good service from a few of the waiters especially in Azul who at the beginning are not sure whether they will get a tip and only start to offer better service towards the end of the meal and especially good service if they hear that you are a good tipper - this I believe is a drawback of the hotel management and would encourage them to find a better solution to the whole tipping issue as we are told on arrival that gratuity is already included in the all inclusive package and we should only tip if we feel that the service exceeds expectations however one gets that silent feeling from a number of restaurant staff that it is expected whether they give you ordinary or extra ordinary service, one waiter even went as far as suggesting we tip him as he felt he did offer more than he should have. I must however mention that the service at the pool from all the barmen and Mario was great, The concierge Alejandro was amazing, attending to all our requests. Hector was incredibly helpful with all our packing after the wedding and handling of all our luggage. The waitress in koi nightclub was also exemplary with no overtures or expectations of an extra tip. The hairdresser was fantastic and the spa service, treatments, ambience and product selection are all world class but totally overpriced by any standard including outstanding award winning resorts in the Maldives or Seychelles where everything is expected to be alot more expensive as they are remote islands with no local production of even water. All in all, our huge group of family and friends 75 in total had a fabulous time, and I am sure many of them will go back albeit better informed. We were married at Grand Velas May 2017. What an amazing experience with friends and family. This was our 5th visit to the resort and once again, service, food and accommodations were top notch and exceeded our expectations!! Our wedding coordinator, Andrea Garza Martinez was just absolutely perfect and amazing tending to every detail and creating a very relaxed and enjoyable experience for me, the bride and the rest of our family and friends. I very highly recommend this location for a destination wedding!! 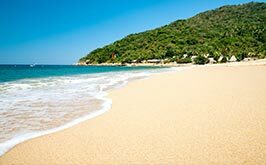 Grand Velas Riviera Nayarit exceeded all expectations for our group of 30. From the attentive, fun and friendly staff, to the delicious food, pristine rooms and gorgeous grounds, we could not be happier about our experience. We received many compliments from our guests, not only for choosing such an amazing resort but also how beautiful our wedding was. My wedding coordinator, Andrea, was a pleasure from day one. I communicated with her via email several times per day for 4 months leading up to the wedding, and she always responded right away. Planning the wedding was a breeze, and once we arrived, Andrea was there every step of the way to make sure each and every detail was perfect. She definitely went above and beyond and made me feel absolutely at ease on my wedding day. The venue and decor was beautiful, especially as the sun set. We were also fortunate to have Leticia as our concierge. She was so nice and also very attentive; I will be sure to request her when we visit again. (My husband and I plan to visit again on our first anniversary). We are so glad to have chosen this location for our destination wedding. So, where to begin! My now husband and I traveled to Grand Velas last year for a business trip, and fell so in love. We knew we wanted a destination wedding, but we did not know where our pick would be. So when we had the most amazing first time trip there, we had to just do it. The experience of having a wedding far away, and in another country, would be difficult, one would think! But, the resort supplied us with a wedding planner named Andrea. At first I was thinking, I hope that she is tentative and helps out a lot since obviously we could not take a second trip back out there to meet with her to discuss wedding plans. Little did I know, we would be come best friends. Andrea made our destination wedding experience into something so beautiful. We could have never done it peacefully and easily without her. Not only did we have such a glorious beautiful wedding, but wby Mealzzz32 Whippany, New Jerseye also gained such a beautiful friend and family member in Andrea because of our wedding. 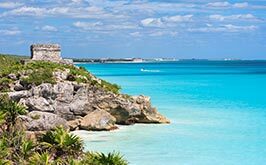 Our guests, who some have never been there, will be coming back indefinitely because of how amazing the staff is, the food, and the whole resort in itself.So, we thank you Andrea, Alfredo, Enrique, and the whole staff for making myself, my husband, and our family and friends vacation beautiful and memorable!! See you guys soon ?